CITES (the Convention on International Trade in Endangered Species of Wild Fauna and Flora) is an international agreement between governments. 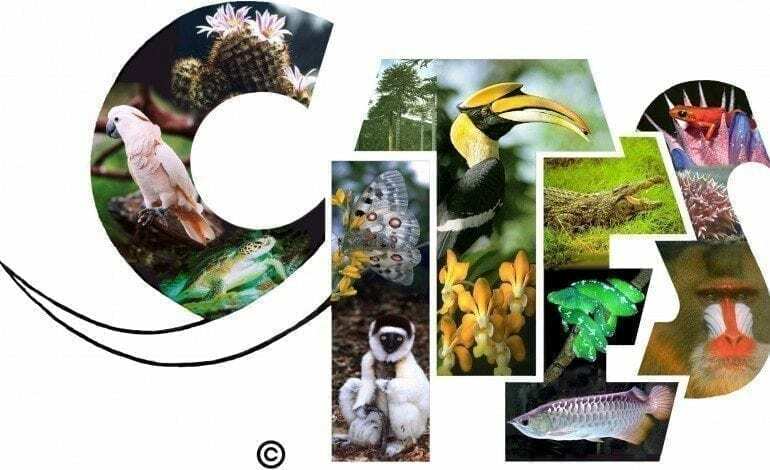 The original goal of CITES was twofold: to conserve wild animals and plants for human benefit and to ensure that the survival of these species is not threatened by over-harvesting for trade purposes. Appendix II: ….. shall include all species which although not necessarily now threatened with extinction may become so unless trade in specimens of such species is subject to strict regulation in order to avoid utilization incompatible with their survival. (Note: there are some Appendix II listed species, for instance the wolf in Canada, which are not threatened in some range states but they are termed “look-a-like” species and require Appendix II treatment to be traded. )Appendix I: ….. shall include all species threatened with extinction which are, or may be affected by trade.